Australian investors will soon be able to invest in the latest medical marijuana company set to list on the Australian stock exchange. Creso Pharma is due to list on the ASX through an initial public offering, with the company seeking to raise $5m upon listing to primarily fund the development of its technologies and products. The global medical marijuana market is projected to be worth $270 billion, with the Australian market tipped to be valued at $50 billion by 2018. NSW is the first state to receive federal approval for the licensed growing of marijuana and since the beginning of August doctors in NSW are able to prescribe medicinal cannabis to patients who have exhausted standard treatment options. The change in legislation is seen as a turning point for the natural plant that was made illegal despite being used for its medicinal properties for thousands of years. The cannabis plant consists of over 460 compounds of which at least 80 are active. Creso Pharma seeks to leverage science and research into medicinal marijuana to develop CBD rich therapeutic products aimed at restoring and maintaining homeostasis for overall health and functioning of all bodily physiological processes in humans and animals. The products, based on the non-psychoactive Cannabidiol (CBD) and enriched with various other phytocannabinoids are designed to treat various ailments associated with the endocannabinoid system and dysregulation of the immune and metabolic systems. CBD has been shown to have various therapeutic benefits with immunomodulation, anti-inflammatory, anti-convulsant, anti-oxidant, anti-emetic, and anxiolytic properties. 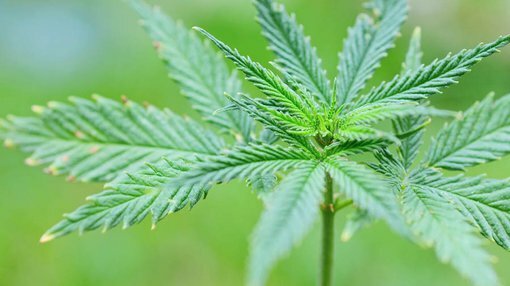 Real world data of many years, combined with animal data, invitro data and initial well design human studies which are underway are backing up century’s long use of the plant as a medicine, with results paving the way for cannabis to play a key role in the future development of new and varied therapeutic schemes.. In human healthcare, Creso Pharma will offer full plant pharma-grade CBD rich nutraceuticals delivered in proprietary innovative delivery technologies enhancing bioavailability and absorption, addressing patient needs with chronic diseases. In the animal healthcare market, Creso Pharma will offer its CBD rich full-plant cannabinoid-based products, formulated specifically for the veterinary market, initially for horses and dogs. The veterinary market will be one of Creso Pharma’s key target markets as there is essentially almost no competition allowing the company to gain a first to market advantage. With many chronic conditions in pets poorly treated by current therapies, CBD based products, specifically formulated for each veterinary segment, will provide a very interesting treatment alternative. The nutraceuticals CBD market is still untapped. There is generally no GMP certified production of standardized plant extracts and a total lack of standardization and efficacious delivery systems to ensure sufficiently high aborption into the body. Creso Pharma’s products are patent protected,securing the intellectual property across the entire value chain. However this is still an early stage biotech company and subject to market fluctuations, so if you are considering investing in this stock you should seek professional financial advice. Through further product development Creso Pharma aims to generate future valuable intellectual property for its formulations, delivery platforms, therapeutic uses of cannabis derived compounds and general know-how and trade secrets. Creso Pharma will use non-GMO strains of cannabis, ensuring natural quality of its products. A major selling point in the healthcare field as the market shifts to more natural means of treating illnesses. By using full plant extracts the entire spectrum of therapeutic compounds found in the cannabis plant are able to be utilised in delivering potential health benefits to the patient, allowing the chemical diversity of the plant to take full effect. The phytocannabinoids compounds in the plant interact synergetically to create what is called “the enoutage effect”, that magnifies the therapeutic benefit of the plant’s individual compounds and particularly enhancing the therapeutic effect of CBD. The projected timeline sees Creso Pharma launching its initial human healthcare product in 12mths time – post ASX listing – followed up by second and third product 18 and 24 months respectively post ASX listing, and the first animal healthcare product within 10 to 12 months post ASX listing. At present Creso Pharma is working on products based on their distinct technologies. Products based on the INNutri technology – an innovative oral dissolvable soft gum that allows for the delivery of medicinal agents (buccal delivery). Products based on the BioLingus technology – a novel proprietary platform for sublingual delivery (tablets) of bio-active molecules for the treatment of chronic diseases and immune-therapies. Products based on the Glatt technology – aiming at developing highly bioavailable enteric-coated tablets with high pore volume and high density. Near term sales for Creso Pharma will be generated through the acquisition of Hemp-Industries. Creso Pharma has entered into an agreement to acquire Slovakia based Hemp-Industries. Hemp-Industries has been in business for over three years and owns an existing hemp growing operation with outsourced CBD extraction and product sales activities. Through the strategic acquisition Creso Pharma will be able to generate early revenues and also allow the company to source the key ingredients of its therapeutic products (initially for the veterinary segment) through the hemp growth operation and CBD extraction capability. Thus keeping the steps of the production process in-house ensuring quality, maximised profits and learning capabilities. Hemp-Industries currently sells its products to the European market, which Creso Pharma will seek to expand into other markets where CBD products have been legalised. CEO and co-founder Dr Miri Halperin Wernli has over 25 years’ experience in senior positions within the global pharmaceutical and biomedical industries. Miri has held global executive positions in product development, R&D and in strategic marketing with global pharmaceutical companies in Switzerland and the US, namely: Merck, Sharp & Dohme, Roche, and Actelion pharmaceuticals. Miri’s years of experience in drug development as well as her leadership roles in complex highly regulated health environments in Europe and the US are well suited to lead Creso Pharma through this critical initial period of multiple product developments and rapid growth. Fellow co-founder and chairman Boaz Wachtel was a former managing director of Australia’s first publicly traded medical cannabis company, Phytotech Medical (ASX:MMJ). Boaz is seen as a pioneer/activist in the medical cannabis field, assisting the Israeli Ministry of Health with the implementation of the National Medical Cannabis Program as well as founding the Green Leaf Party – a political party for the legalisation and medicalisation of cannabis. Boaz is the also co-founder of the International Medical Cannabis Patient Coalition (IMCPC), whose stated goal is to provide safe and legal access to medical cannabis world-wide. Creso Pharma is expected to officially list on the ASX on the 12th October 2016 with the ticker code CPH. The company is uniquely placed to capitalize on the growing medical cannabis industry and provide their pharma know-how and expertise to this emerging sector.